The Cheyenne Mountain KIVA journal was launched in the summer of 1997. The journal contributes to the mission of the Cheyenne Mountain Heritage Center in preserving the history, art and memory of the greater Cheyenne Mountain and Pikes Peak region. KIVA is a niche magazine which has attracted a fine group of writers who enjoy writing for a quality publication. One of the most satisfying aspects of the journal has been the requests by other publications to reprint articles which originally appeared in KIVA. In 1998 Kiva received the El Paso County Pioneers Association annual award. 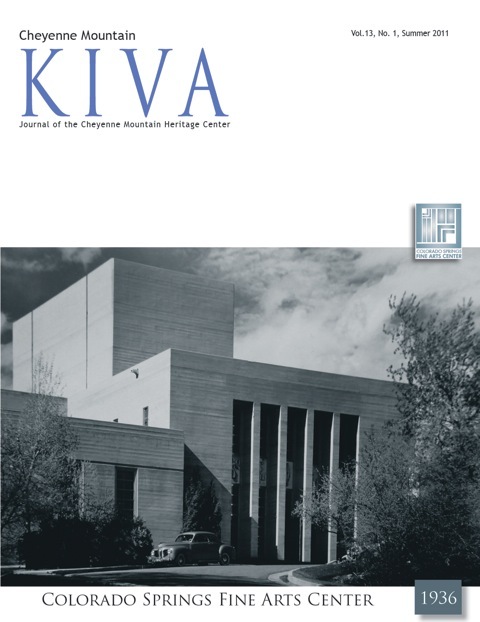 In 2002 the Colorado Historical Society selected KIVA as the major recipient for its contribution to Colorado history. All members will receive a subscription to the KIVA magazine. If you are not yet a member and would like to become one, please visit our membership page.